Dokdo-or-Takeshima? : Ongdo (옹도), Janggundo (장군도), & Dokdo (독도) all mean "Jar Island"
It is a very interesting idea. 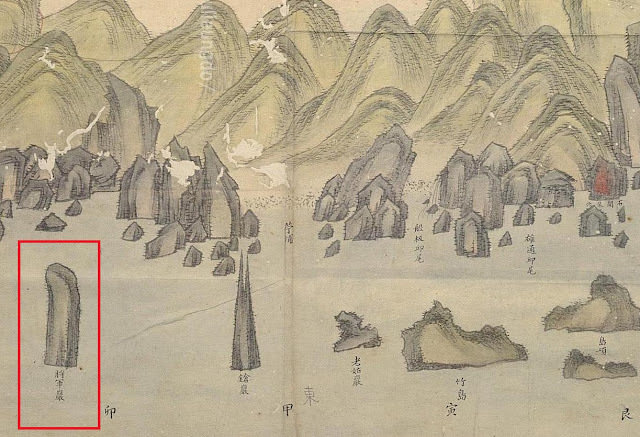 "Ongdo" (瓮島) can be called "Dokdo" (독도). I think it could be also called독섬. 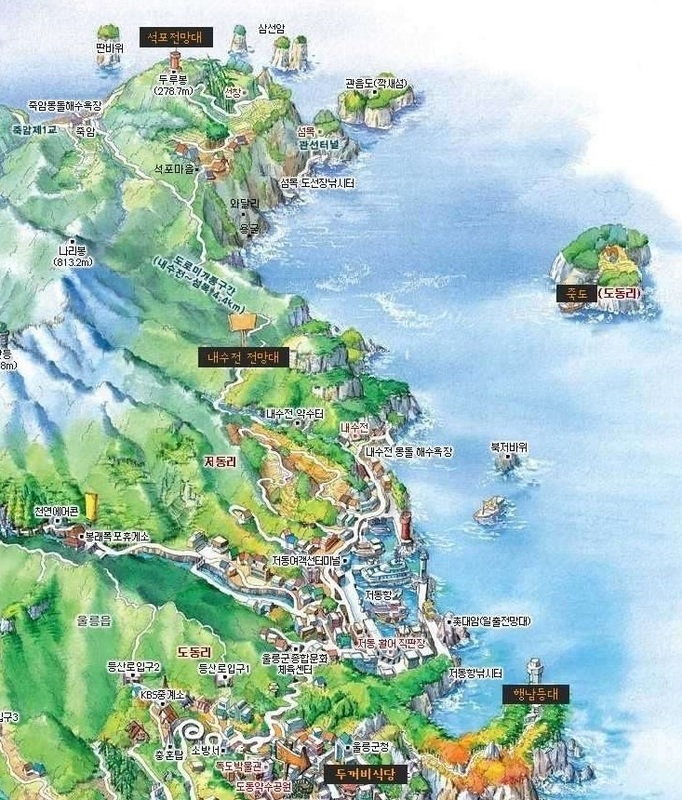 島 (도) is the Sino-Korean word for "island," and 섬 is the pure Korean word, so 독도 and 독섬 are the same word. Second, there are at least two Jangguns in Korean, and the monument-like stone's name Janggun means military general. And a container called Janggun is a wooden one looking like a barrel. It is smaller than a European barrel, but looks almost the same. Koreans carried human manure fertilizer in Jangguns. Third, Ongdo and Dokdo are not the same and not interchangeable. There are many ways to write Dokseom, but there is no bridge linking Ongdo and Dokdo directly. A pure Korean word Dokseom can be written many ways because of the various uses of Dok in Korean. Besides Ongdo (瓮pot), Dokdo (獨lone), and Seokdo (石rock), it can also be written another Dokdo(毒島 Poison Island). 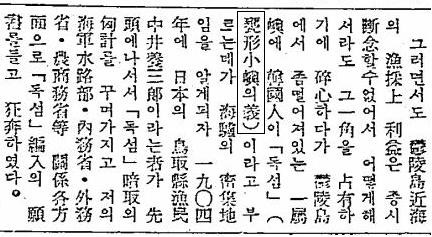 No matter how it is written, Koreans 100 years ago around Ulleungdo were suppose to read it with its real name Dokseom. The real name of today's Jukdo was Tae Seom, and that of today's Kwaneumdo was Seom Mok. And a container called Janggun is a wooden one looking like a barrel. It is smaller than a European barrel, but looks almost the same. 甕 means a big pot containing bulk kimchi or bulk bean paste. When it is put upside down, the shape is very similar to 男島 of Liancourt Rocks. 장군(將軍) means a general, just the same as Shogun. There is another word 장군 pronounced the same, but it means a barrel containing human excrement fertilizer. It is smaller than western barrel, and Koreans carried it on an A frame (지게). 장군 is wooden, and far from a pot. 독도 cannot mean a pot island, but 독섬 can. Take a look at my explanation at this link. Ordinary Koreans are not good at their own language, because the lost track of how their grandfathers used Chinese characters. 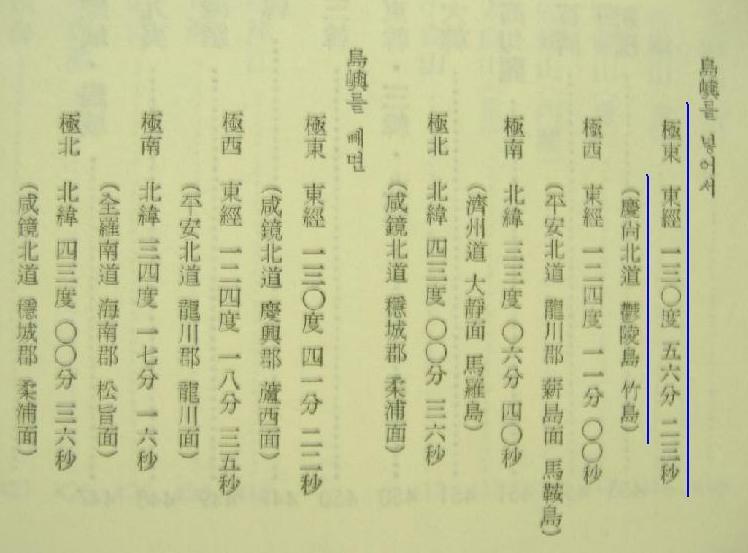 독섬 can be 甕島, 石島 or 獨島. When it is written 甕島, a Korean of that time read it either 독섬 or 옹도. If written 石島, it could be read 석도, 돌섬, or 독섬. If written 獨島, the reading is 독도 or 독섬. When it is pronounced 독섬, one would write it according to the writer's association with the characteristic of Liancourt Rocks. If he thinks it looks like a pot, then he would write 甕島. If he thinks it is a rock island, he would write it 石島. If he thinks it is alone far away, he would write 獨島. But those who knows the real name 석도 will always read it 석도, however it is written. Chinese characters were only a tool to convey the name. Chinese letter itself was not pronounce as usual, when the real name was known. Korean scholars are not explaining it very well. 石島 cannot be any other island than Liancourt Rocks. It is that there is no way to prove it. But it is Japan who has the obligation to disprove it. Korea has no obligation to prove it. Unless Japan effectively disproves it, 石島 is Dokdo. That's one of various things I wanted to establish in my blog. Gerry, you really need to read my blog before going too far. You are scratching totally useless parts of the logic.